Hispania team has announced the arrival of new technical director from within the squad. The struggling Spanish outfit has named Toni Cuquerella as the new technical director. He takeover the job of Geoff Willis who left the team in september of 2011 for Mercedes. Cuquerella, 38, a Spaniard himself, working for the squad as a chief engineer since at the end of 2009. Besides the new responsibility, he will work as the head of engineering – making him the least experienced tech director of all at the paddock. He has been around in F1 for a while working as race engineer for Robert Kubica in BMW Sauber times. He performed the role of race engineer in Super Aguri F1 for two years also. The new project F112’s design was carried out at their German Tech Base in Munich, under the supervision of Holzer Group and Chief Aerodynamist Stephane Closse. Jacky Eeckelaert left the team in February leaving the position of Tech Director void before Geoff Willis took over it. 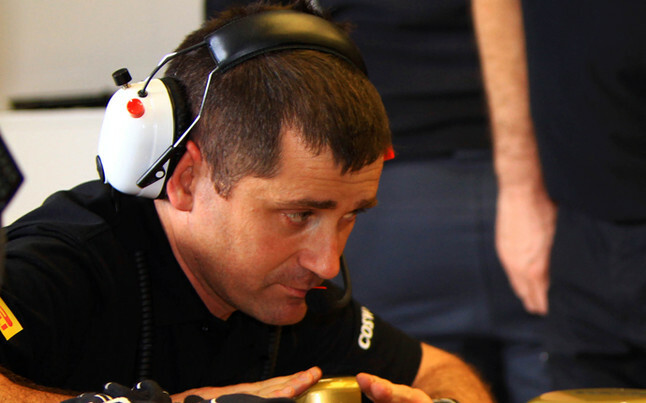 Team principal Luiz-Perez Sala praised him as the right man for the job. Luiz-Perez Sala said: “Toni Cuquerella has been a key figure in the team since its inception and, above all, in this new stage. “The transition from the previous project to this one hasn’t been easy and a lot of work has been carried out that without vital figures such as him wouldn’t have been possible. The position of technical director was vacant and the development of the F112 was carried out at the technical office in Munich. “But now, with the car already on the track, it was important to take control and count on someone influential at the head of the technical office. And because of his experience, judgement and knowledge, Toni’s profile fitted in perfectly”. Toni admits his new responsibility in the team which looks to set their complete base in Spain. “The role of technical director implies a great amount of responsibility in terms of coordination and decision making,” said Cuquerella. “That’s why I’m very proud that the management considers me to be the most adequate person to carry it out. Until now there was a lot of dispersion from within the technical team and that had its repercussions in the concept and quality of the F112. Having never turned up the wheel before Melbourne and failing to qualify for the race HRT managed to complete the race at Sepang with some bitter memories.